What is Occupational Therapy in the Early Intervention Therapy Program? Occupational Therapists (OTs) in the Early Intervention Therapy Program at the BC Centre for Ability offer services to children with developmental concerns or disabilities, and their families. OT’s work collaboratively with speech-language pathologists, physiotherapists, and social workers to provide screening, assessment, and intervention services to children referred to the Early Intervention Therapy Program. Services focus on helping the child become successful in daily routines and participation in home and daily life. We serve children from birth to 5 years of age who have physical, neurological, and intellectual or developmental disabilities and reside in Vancouver, Burnaby, North Vancouver, West Vancouver or Richmond. The early years are crucial for skill development as children learn at a rapid pace and build their sense of self-worth and independence. Complex skills are built on early successes. OTs use their training in typical and atypical development and in task analysis to help parents recognize developmental red flags, identify readiness for new learning and find the best approach to build on emerging new skills. OTs help family members and others in the child’s life to understand the child’s developmental profile, and provide appropriate support and facilitate success. Using a collaborative approach, we identify family and childcare routines in which learning opportunities can be embedded and determine strategies which will best address identified goals and reflect family priorities. OTs also help to identify and understand differences in sensory processing and to modify sensory environments which children find challenging. See the resources bar to the right for frequently asked questions. Occupational Therapists work with your child to assess current level of play, fine motor and self-help skills to ascertain what your child is doing independently and the barriers that are being encountered. Parent input is important as this helps put clinical observations into the context of the child’s experience and family interests. The Occupational Therapist will often demonstrate strategies when coaching caregivers which can be worked into everyday routines like playtime, outdoor fun, meal-times or bath-time. Services focus on helping the child become successful in daily routines and participation in home and daily life. The intensity of early intervention therapy is dependent on the entire clinical picture, and changes over time in relation to your child’s current needs and abilities. 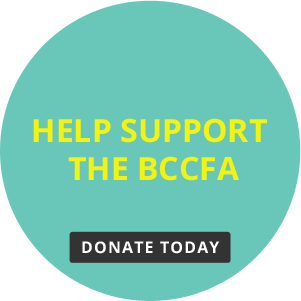 A physician referral is not necessary to access the BC Centre for Ability Occupational Therapy services. Please complete the Parent Request for Service Form or if you are a community professional please complete the Physician and Healthcare Provider Request for Service Form found in the Resources section to the right. Parent or guardian written consent is required to speak with other professionals about your child.